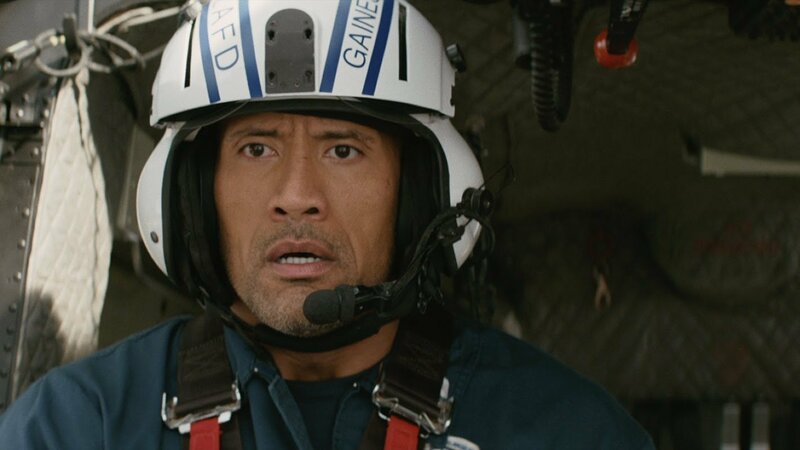 It was inevitable that Dwayne ‘The Rock’ Johnson would one day star in a disaster movie. After all, the mountain of a man and former wrestler towers over every puny human costar he faces on screen. There’s rarely any suspense involved in a movie fight scene when The Rock is involved. The guy is going to win or at least end the fight in a draw for the sake of Vin Diesel’s ego. So, the only way to set up a fair fight for The Rock is to pit him against Mother Nature. 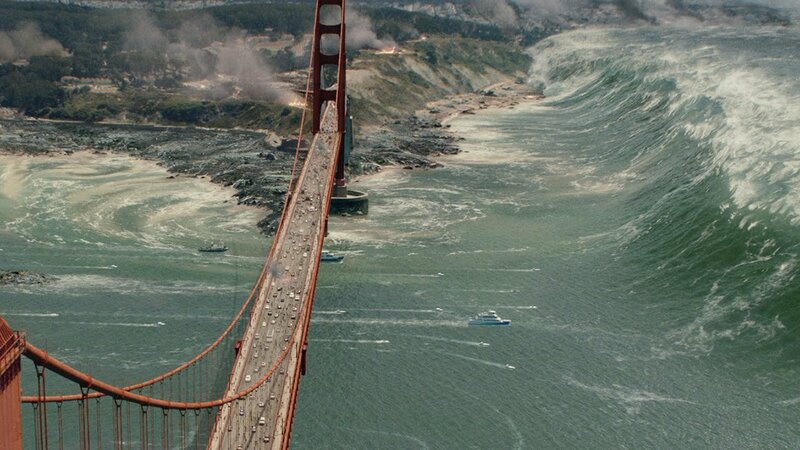 San Andreas might be the title of Dwayne’s latest movie, but it really should be called An Earthquake Vs. The Rock. That’s the fight that audiences will pay their hard earned cash to see and that’s exactly what the movie delivers. Aside from the title match, there really isn’t that much to the movie to be honest. Like all disaster flicks, few of the pesky non-explosive elements in the movie like plot or characterization register. It’s a deeply dumb movie, but also kind of a fun one if you can shut your brain down and admire all of the pretty explosions. Chances are, you can plot out the entire movie in your head following that brief first act summary and I’ll wager that whatever you’ve come up with is actually better than the script a team of writers actually sold to Warner Brothers. 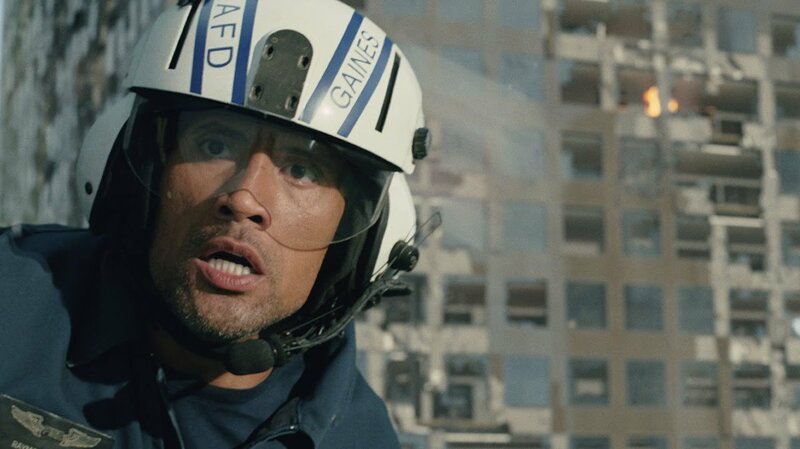 There’s no getting around it, San Andreas is a deeply, deeply stupid movie. At best, characters are two-dimensional cartoons. For the most part, the actors have only a single dimension to work with. The movie isn’t destined to win any screenwriting or acting awards any time soon. It may as well have been written by a computer program that mixed and matched scenes from previous disaster movie screenplays until it reached 100 pages. However, dismissing a movie that features a pro-wrestler and an earthquake as being stupid is missing the point. 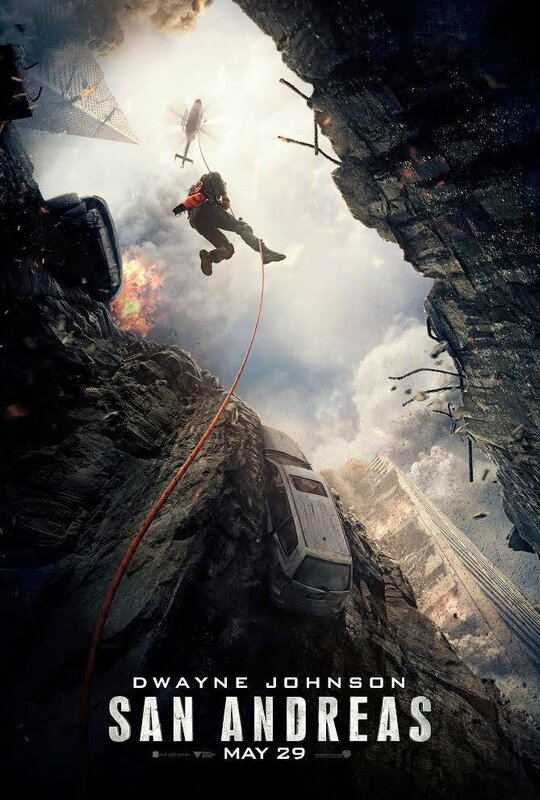 Of course San Andreas is a dumb movie. It would almost be disappointing if it wasn’t. The real question is: Is the movie any fun? Answer: Yes. Yes, it is. 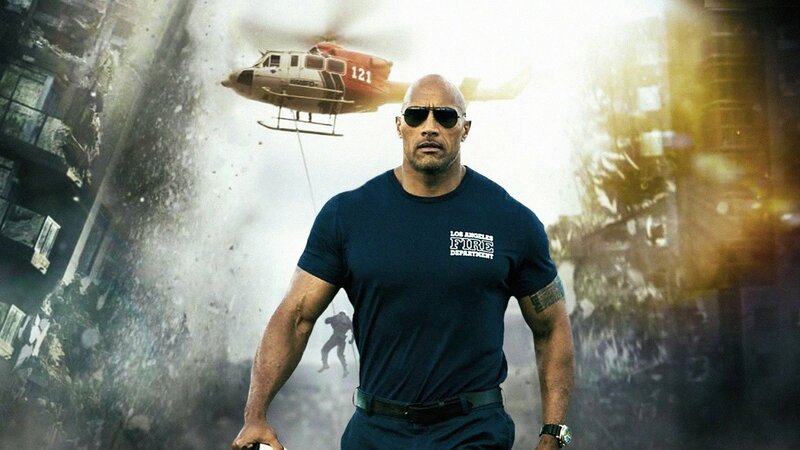 The Rock reteams with his Journey 2 director Brad Peyton, who can’t exactly be described as an artiste but is certainly a guy who knows his way around a brightly colored CGI action scene. The massive crumbling 3D city destruction sequences in San Andreas are indeed quite impressive. Sure, the audience is essentially watching millions of people die at once, but as long as The Rock saves his family it doesn’t matter. They are the only characters viewers need to care about and if they get out ok, who cares about a few million lost lives as long as the explosions look good? Yeah, it’s probably deeply irresponsible and unprofessional for the greatest rescue worker in California to ignore all of the civilians and steal a rescue chopper just to save two people, but hey! Family values are restored at the end of this $100 million series of blow-em-ups, so what more do you want? Folks who simply can’t get behind braindead popcorn fodder will scoff off San Andreas and with good reason: it’s a dumb and generic movie. However, anyone excited to see The Rock kick an earthquake in the nuts will have a good time. This might be a dumb and generic movie, but it’s also fun, hilarious for those who enjoy the ironic appreciation of trash movies, and The Rock is in it, who never disappoints. Not a bad popcorn cocktail for those in the mood for mindless entertainment. A completely forgettable blockbuster and also a painless one. Of course San Andreas is a dumb movie. It would almost be disappointing if it wasn’t. The real question is: Is the movie any fun?